A Review about the Culture Night for Makers in Reykjavik. In August 18th the Culture Night in Reykjavik invited the public and different makers to create their own musical instruments. In a workshop held by the Icelandic designer Ingi Freyr Guðjónsson, local people learned about distributed design “in action”: how to manufacture products locally with local resources out of global designed open files. 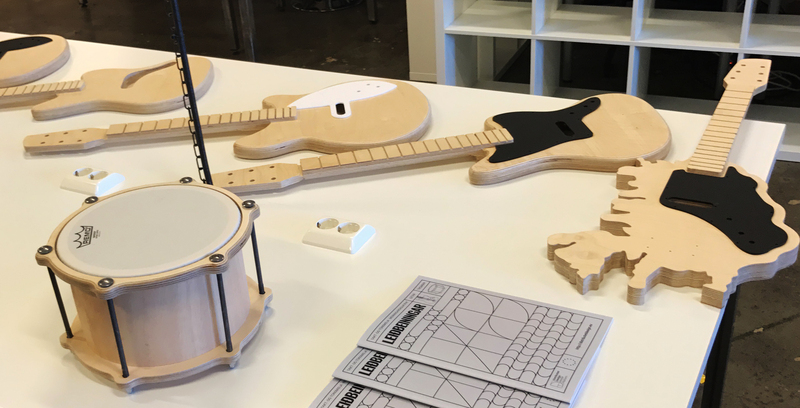 The Culture Night for Makers inspires the public to make their own instruments to participate in a music making event. The event opens the possibility for people to gather around, and brought different Designers and Makers together with the general public to discuss about distributed design, to create and to make.